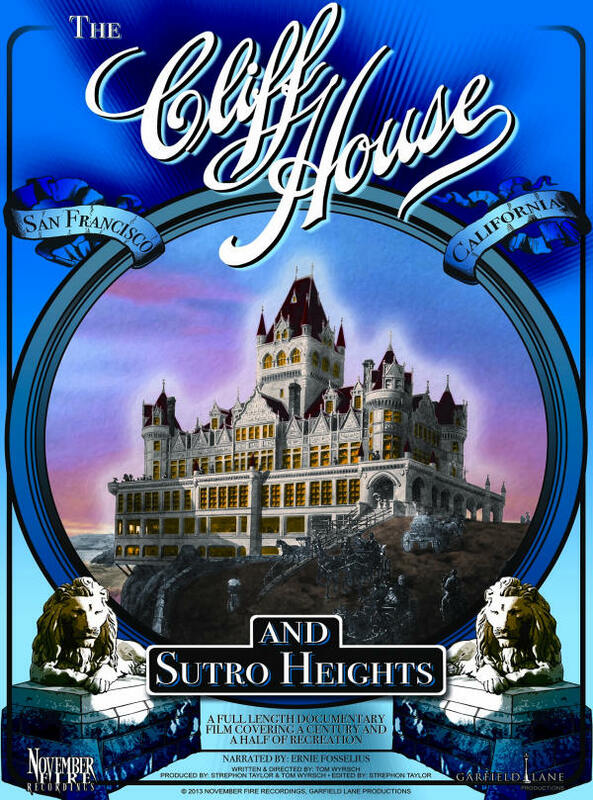 The goal of this website is to preserve the visual imagery of Adolph Sutro’s Victorian Cliff House. 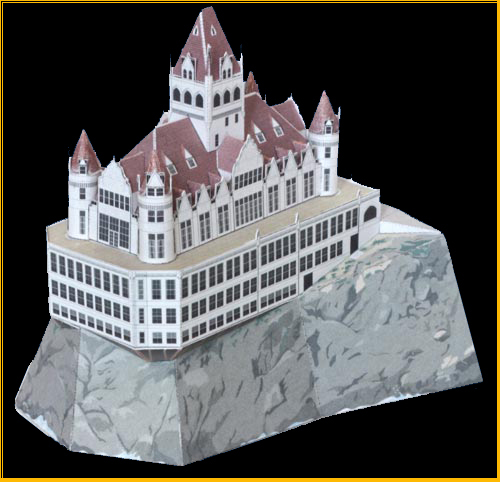 It was neither the first structure nor the last to carry the name of Cliff House, but it was certainly the most grand. Sadly, its existence was short-lived. It was constructed in 1896 and, like so many wooden structures of that era, burned completely to the ground in September of 1907. 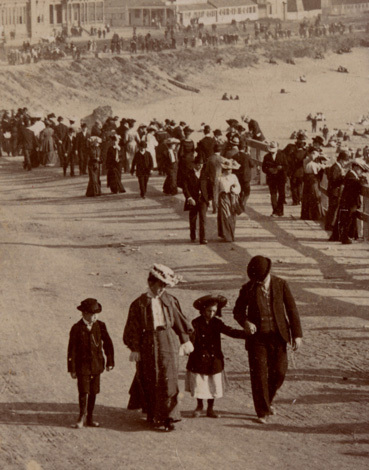 Over the last few years I’ve collected a number of photographs and such, some from ephemera shows, some from antique shops, and many from ebay. But my personal resources can only go so far. 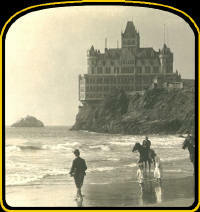 My hope is that others who share an interest in the Cliff House will share their finds on this website as well. There’s an implied obligation of those (myself included) who own these nuggets of history to share them, not squirrel them away in some dusty shoebox only to risk oblivion via flood, fire, or neglect. So by all means…drop me an email if you have some treasured photograph of your own that you’re willing to share. If you’re worried about copyrights, I can overlay the image with a watermark or some other identification to protect it from being copied. If you want to be credited, that's not a problem. 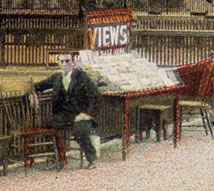 If you have a capitalist slant and want to sell copies, I can link to your website. It’s all fine by me. As long as these images are not eventually lost forever, history is served. 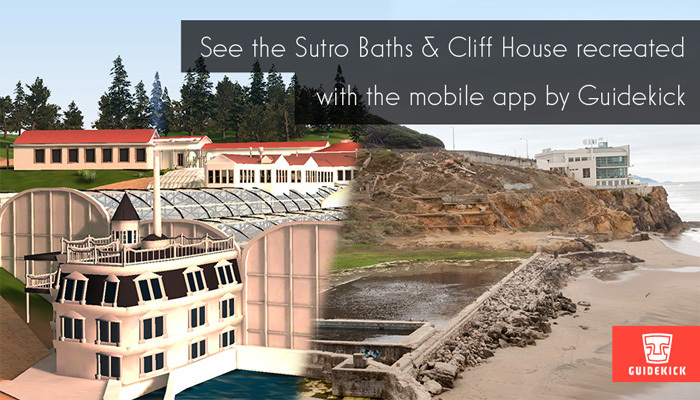 "Sutro's Glass Palace - The Story of Sutro Baths"
Build you own Cliff House!!! 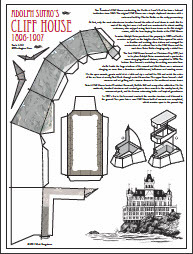 From the makers of the Playland & Sutro's documentaries. 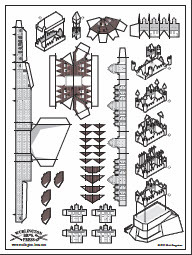 Interested in using an image from this website? Please look here.